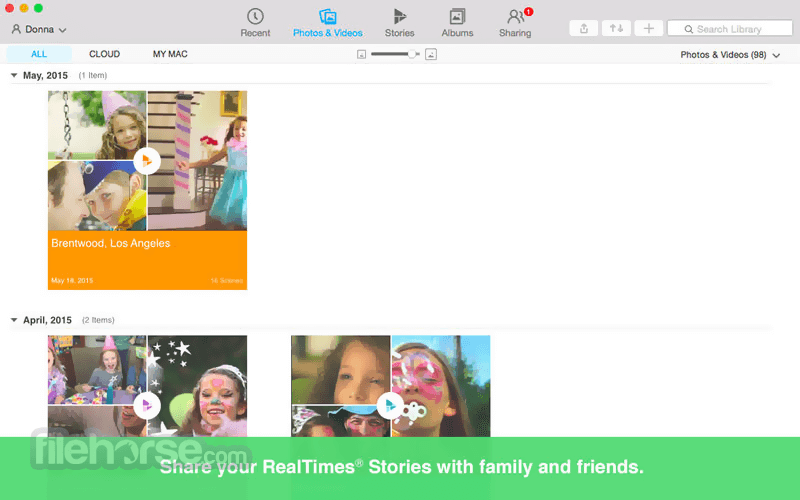 RealTimes (with RealPlayer) for Mac enables you to move, watch and share your videos. When you share videos with friends and family they’ll be able to play them on any device or operating system, without downloading the RealPlayer app. No more worrying about formatting or converting videos, or carrying HDMI and USB cables to connect devices to each other to watch videos. It just works. Upload videos of any format to the cloud and they are automatically adjusted for your device screen-size, bandwidth, and device type prior to playback. RealPlayer for Mac supports all popular formats like FLV, WMV, MKV, DIVX, XVID, MOV, AVI, and MP4. Once videos are in the RealPlayer you can share them privately with friends and family. If your devices are using the same Wi-Fi network you can use RealPlayer to easily download videos to one device from the other. 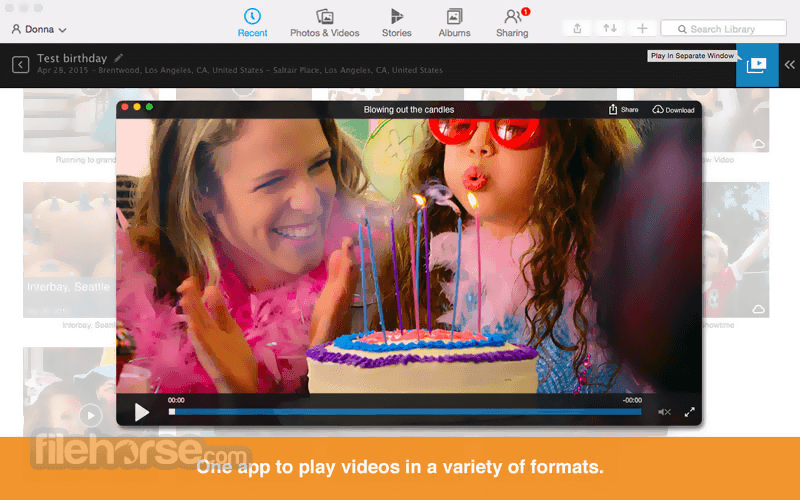 RealPlayer is powered by SurePlayTM, a new technology developed by RealNetworks that ensures videos will play correctly on the device used for viewing. Learn more about SurePlay and how to use RealPlayer Cloud in the posts below. With our new RealPlayer Cloud apps, you can move your videos wirelessly between your computer and smartphone or tablet. 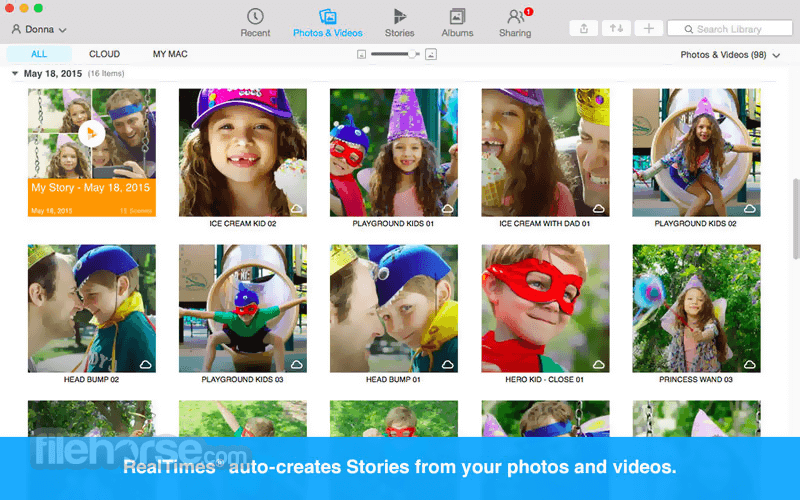 RealPlayer Cloud formats the videos correctly for each device. No more wires, no more headaches with formats. It just works. RealPlayer Cloud plays all of the most popular types of videos. You don’t have to worry about whether it’s this type of file or that type. It just works, on all your devices. You can even watch on TV via your Roku or Chromecast. 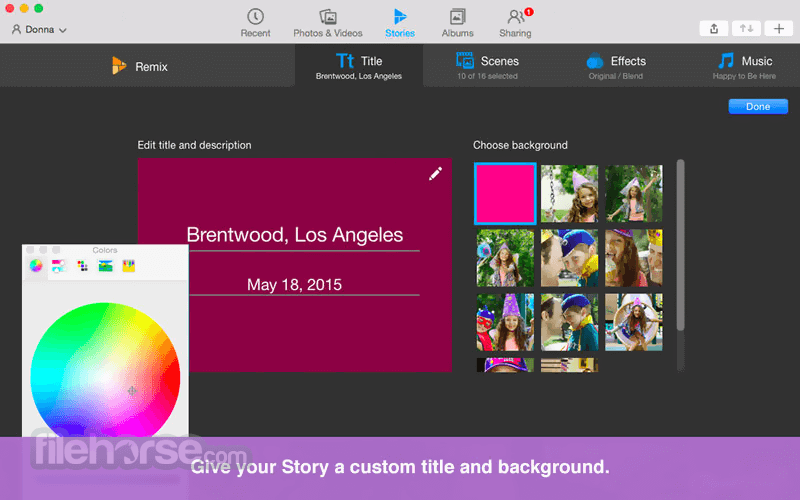 Send videos privately to family or friends straight from the app without having to share them on Facebook or YouTube. Your friends don’t need an account or app. The receiver of your video gets an email, they open it and the video just plays, no matter what their device or computer. Add videos of any format to your collection in RealPlayer Cloud for Mac to access them from anywhere, on all your devices. It store them for you securely and privately, so you can rest assured your videos will always be there, whenever you need them. Once you’ve got RealPlayer Cloud on your Windows computer, a ‘Download this Video’ button automatically pops up whenever you’re watching a web video on your Mac, like magic. You don’t even have to start RealPlayer Cloud on your desktop. Just click the button to download a copy of the video to your library. 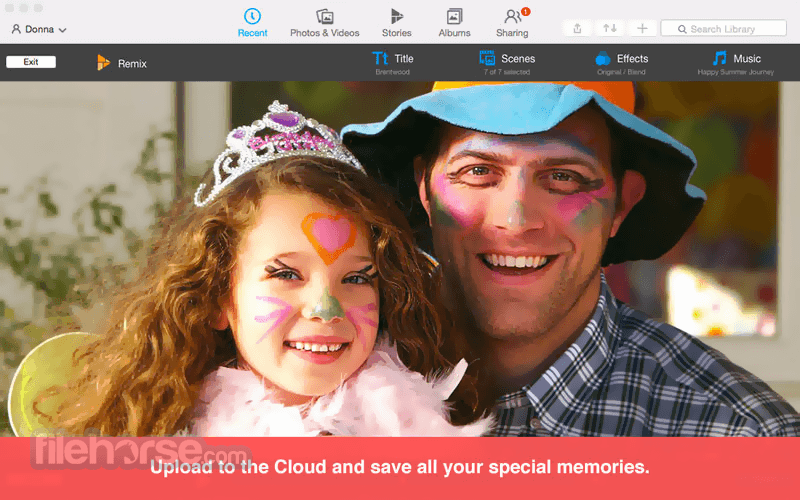 Once downloaded to your Mac you can upload your videos to RealPlayer Cloud and move them easily to other devices via our apps.